The School of Mining Engineering has started the second semester under a dark cloud, after losing two students in a tragic car accident during the winter break. 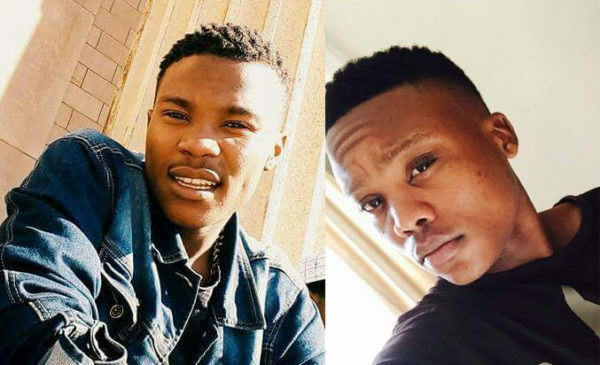 The two cousins, Lesiba Masenya, fourth year, and Patrick Baloi, second year, died along with the latter’s father, Mmusi Baloi, and Mmusi’s brother, Saki Baloi, after the car they were travelling in was involved in a head-on collision with another car. The accident took place on the N11 near Ga-Machikiri village in the Waterberg District Municipality on Tuesday, July 4. According to Mahwelereng Police Spokesperson, Lieutenant Colonel Moatshe Ngoepe, the family was on the way back from shopping in Mokopane, when an Isuzu bakkie that was travelling in the opposite direction, lost control and hit their Polo Vivo head on, killing the four instantly. A family friend, Raymond Mamabolo, who was also in the car, was rushed to hospital, but was declared dead on arrival. The driver of the bakkie, Nare Ramotshela, sustained injuries and is still in hospital. Patrick’s mother, Grace Baloi, told Wits Vuvuzela that her son was just like her. “He loved hugging and kissing. This is a loss, I lost two men. When I think about it, it breaks my heart,” she said. The receptionist at the School of Mining Engineering, Phila Gamedza, said that Baloi was a friendly person. “He smiled before he greeted, that tells you a story,” she said, adding that it was hard to scold Baloi when he submitted his work late because he apologised first with a smile. Professor and head of School, Cuthberth Musingwini, said he was supervising Masenya’s final year project. “He had already passed for his research proposal and had already completed his final draft and was due to submit the final report for examination on August 14 2017,” he said. All five were buried at Ga-Molekana village in Limpopo. Lieutenant Colonel Ngoepe told Wits Vuvuzela that the police are investigating a case of culpable homicide.